Sharing the often fun, sometimes tragic but always fabulous life in the country! 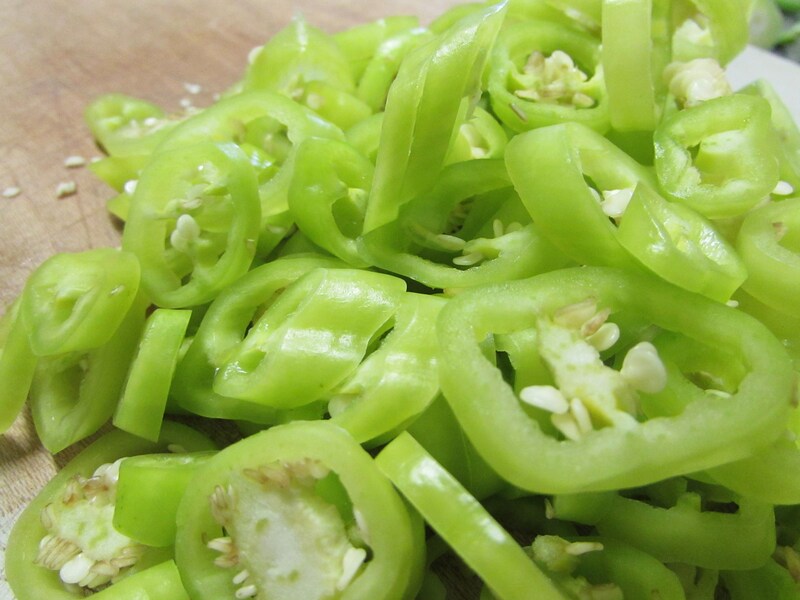 Peter Piper picked a peck of pickled peppers! I can say it really fast, can you? 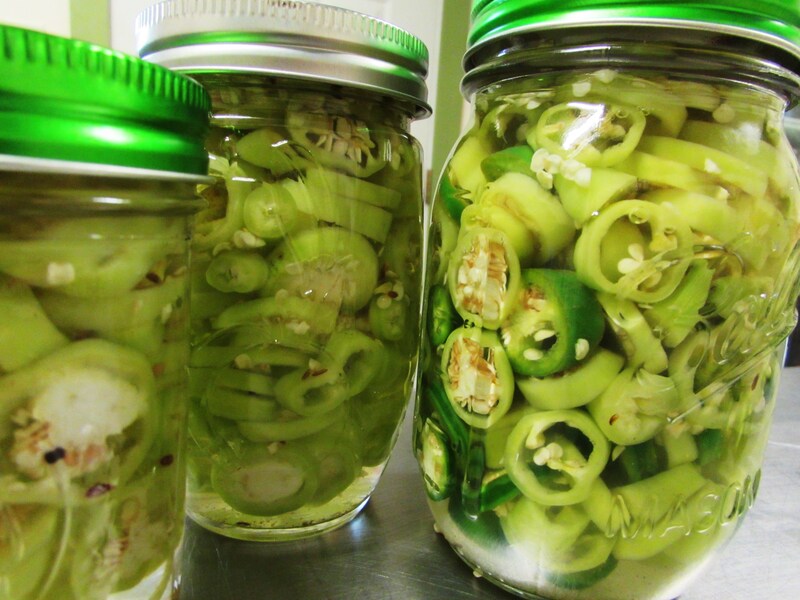 I can also make pickled peppers. This comes in handy since I don’t personally know Peter Piper. These are fast, easy and delicious. And they last for YEARS. I opened my last jar from 2012 just last week and used them on a pizza, still yummy! 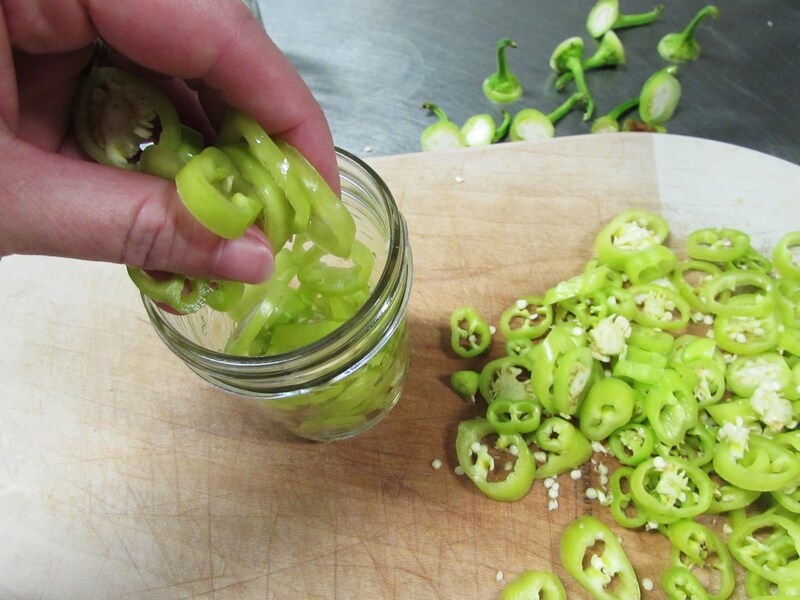 So if your peppers are growing like crazy and running out your ears, pickle those babies! 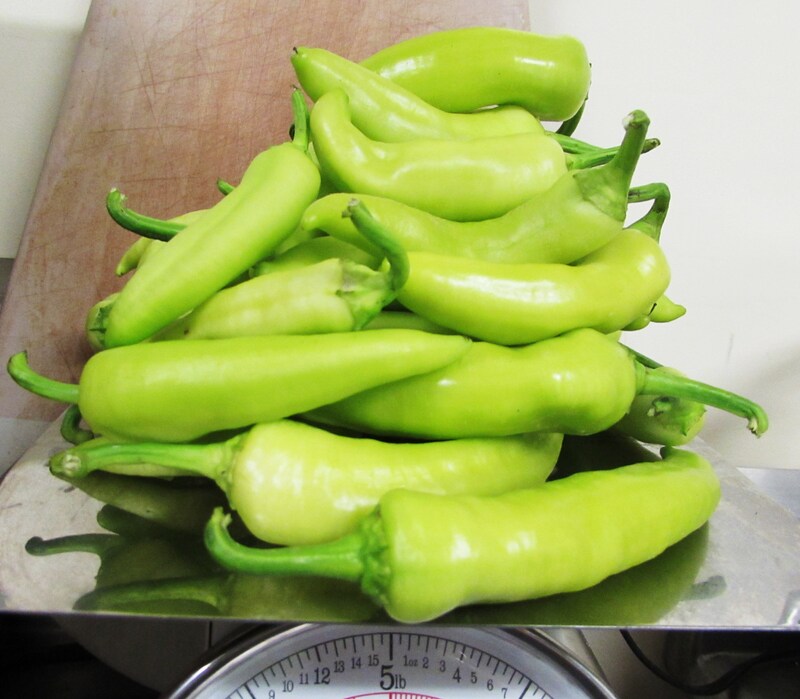 I weighed my peppers first, there were 1.5 pounds total. Then I stuffed them into Mason jars, pack them pretty tight! 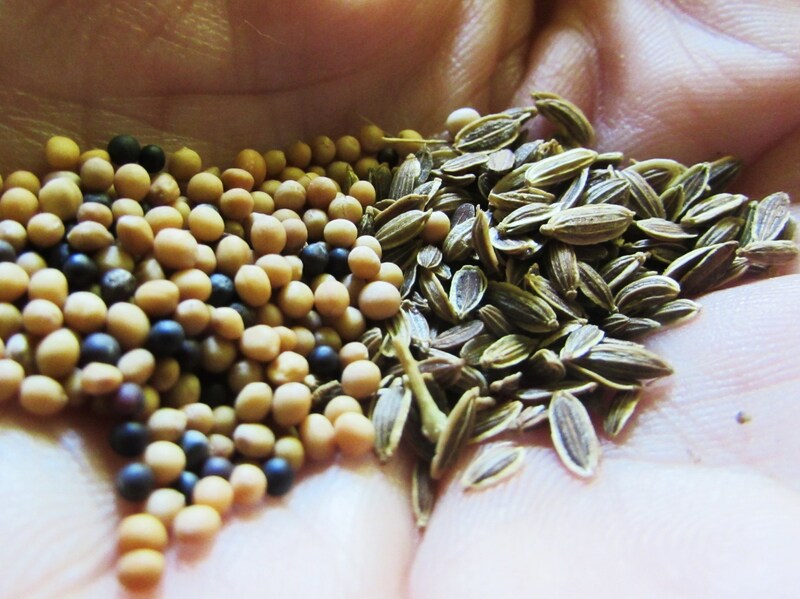 I added mustard seeds, dill seeds and I wanted to add celery seeds but I didn’t have any so I dashed a little celery salt in. 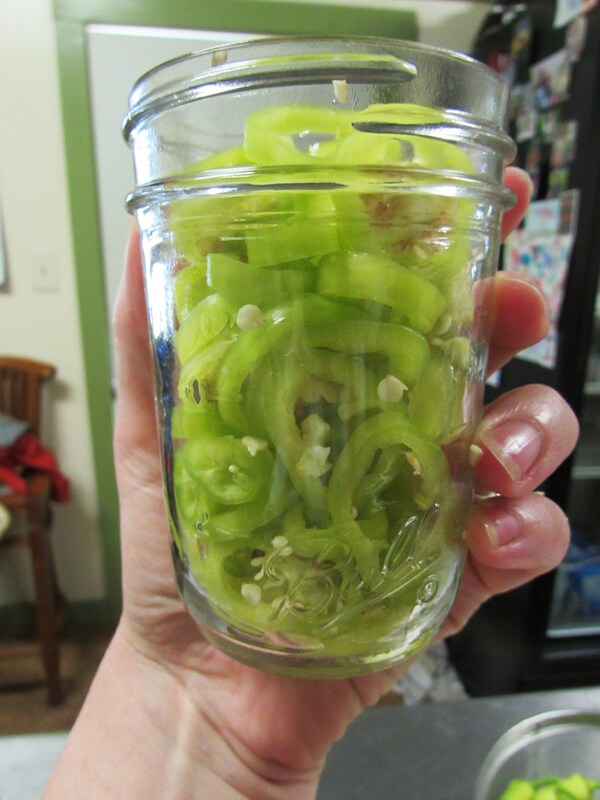 Most of the jars were straight sweet banana pepper but I threw some jalapenos in the last jar, just for fun! And heat. 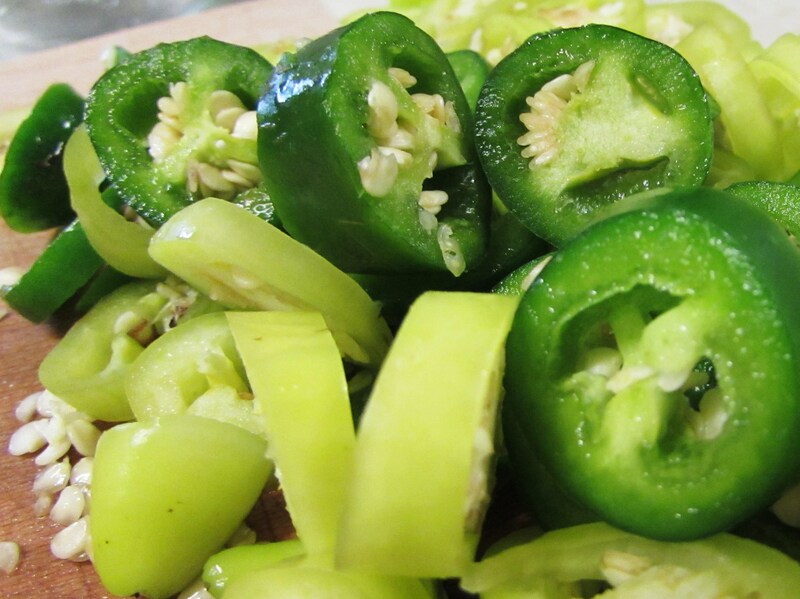 Pour the boiling vinegar mixture over the peppers, leaving just a little room at the top. Seal them up and let them sit for 2 weeks and they are ready to eat! You can process them in a water bath if you want. I didn’t and they sealed fine on their own. Just be sure and check to make sure they are sealed before putting them away. And you will always have pepper for your pizza! Things I did not grow…..
Fab idea! I am a HUGE fan of heat – hot anything! I need to find someplace to source cheap veggies though. They’re pretty pricey over here, and I did not get any peppers planted this year. I’ll keep you posted! Cat BFF's. Best. Thing. Ever. My daughter Addie, enjoying a watermelon that I didn’t grow. About to hatch on New Years Day 2014. Determined to bloom where I am planted, no matter how rocky the soil. The good the bad and everything in between!